Home / Posts Tagged "Venture"
You win some, you lose some. And the past week I lost a bit. I had hoped to cash in on Prospects, to make a bunch and have a nice amount of profit. Unfortunately, this hope was linked to the fact that people would keep the price high for at least a few days. Back when the venture was released, I made a lot of money in that first week, creating these new mining ships for noobs. I thought I could do this again. But this time, I was ready. I spent a few hours on the test realm writing down what would be needed for a Prospect. After the file was created I went on my way to Jita and started setting up buy order for the raw material. 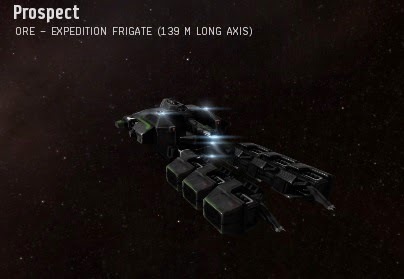 I already had all the BPO’s that were needed to create a few of these ships so I could save a bit more money on these. When all was ready I waited for the patch to drop, over 200 venture BPC’s, ready to be invented. The invention of one such BPC takes 12 hours. The fact that I, like many other people, have a job, meant that I could only start an invention run at around 7, when I got home from work. Meaning that some people already had a head start. 12 hours pass and it’s 7 o’clock, I should have already gone to work but I decided that I’ll just work from home (allowed to do this once a week). This was a good decision. Because as it turned out. I made a mistake. No surprise there. Instead of having an Advanced Ship Assembly Array, I had a normal one. Which meant that once more, despite me thinking I was prepared and wouldn’t have to go to Jita. I had to do just that. I bought a few and brought them to my POS. Forward about half a day and I have my first Prospect ready and 10 more in the tubes. These would take a few days to complete, but I went to Jita with high hopes. The first 3 I ever made, were sold for a nice profit of around 100m before they went down, and down, and down. I was looking at the market and saw them going to around 25-30m and sticking there. With a heavy heart I have to admit once more, that planning is not my strong suite and that I definitely am not made for long term options. I’ll still make a profit on what I have, but it won’t be near the profit I had hoped. Such is the life of an industrialist. You can plan all you want, but your competition will be doing the exact same thing and they’ll make sure that your profit won’t be as high as it should have been.